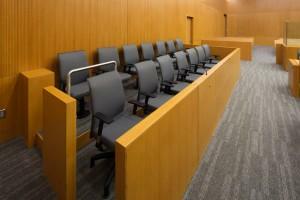 Thinking About Avoiding Jury Duty? As a U.S. citizen there are really only three civic duties you should be doing. They are paying taxes, voting, and serving on a jury. Skipping over the first two brings us to jury duty, which many may feel to be a nuisance, but really, is it? Our right to a jury trial is one of the foundations our country was built upon. Just because you “don’t have a choice” when it comes to jury duty, does not mean it’s something that you should feel negatively toward. This right has expanded over the years, but in it rests that right to a trial by a jury of our peers. Our founding fathers built this country on certain rights, so that everyone could have the freedom they deserved. A part of that is our system of civil justice, and access to this system is built upon this jury right. A jury of our peers has been rooted in our American legal system from the beginning. According to Alexander Hamilton, this jury system of peers can provide security from corruption. That being said, you don’t want to fail this system by avoiding jury duty. I say to you, don’t try to get out of jury duty, embrace your service. Someone has come to court because they or someone else has been wronged. As citizens of this great country we have the honor and the trust to decide fairly over someone’s case. By fulfilling this civic duty, we carry out the right the Constitution gave us. We have to preserve this right by responding when we are summoned to serve. Even if you receive a summons, you may not have to report to jury duty. Your summons should include a phone number or another way to access whether or not you will have to appear, such as a website. Summons go out weeks before a trial date. All trials schedule for your day may settle before the summons date and no jurors will be required. Depending on the court, you may not know if you will have to appear until the night before. There will be some time where you will have to wait during the proceedings. Bring a book or something quiet to do so you don’t get bored. Remember, you most likely won’t be able to use your cell phone. Please be courteous while you are there. Make sure you inform your employer that you will be on jury duty, and check with your HR department to see what your options are regarding paid time off, or available jury-specific days off. Most trials do not take more than a few days. Also, be sure to get a good night sleep before. You’ll have to be there early, and you don’t want to end up sleeping in and missing it. If you get chosen you’ll want to be at your best. No one likes a sleepy juror.